Retreats are something that most of us would like to have, but never will be able to afford it in today’s market. 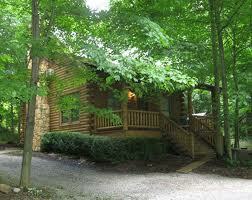 I define retreats as a hideaway in the back country (bug out location). I am not a big believer in retreats unless they are your permanent residence. If you are young you may want to consider a career that permits you to live where you want. Too many of us are trapped by finances, employment and family. I know of people whose retreats are located several hundred miles from where they live and work. It is easy to use all your resources to construct such a retreat. Then when the time comes to evacuate to your retreat, you may find your route blocked because of martial law, civil disturbance, pandemic or other causes. Recently I saw a cabin that someone is using for a retreat. The cabin is well hidden in the trees, brush and manzanita. This sounds great, but there is no fire breaks around the cabin. The brush grows right up to it. The area in which it is located is a high fire area in the best of times. Imagine if there were large numbers of people from the city loose in the woods. Their camp fires would soon cause a major forest fire and the end of the cabin. If you have a retreat make sure you have someone living there to protect it. Keep the areas around it clear to provide clear fields of vision and no cover for someone observing you. This also protects you from wild fires. In Argentina during their crash in the 1990, gangs from the city preyed upon people who lived in remote farms and ranches. In many ways they were in worse shape than people in the cities. They often had no one to call for help. When there were raided by the gangs, they were often held prisoner for several days, while their property was looted. To keep any kind of twenty-four hour security and do the necessary work to provide food and water, you need at least 7 adults. For short periods of time you can function with less. If you can legally possess firearms I would encourage you to own them and get plenty of practice. Your retreat also needs access to good water and crop land. If you have a retreat get a good set of maps and be familiar with several different routes to it. Try the different routes in different seasons of the year to find unexpected problems. Have the necessary fuel or other means to get to your retreat. Finally unless you live in your retreat full time always have a plan and the supplies needed to shelter in place in your home. In future post I will discuss living in the cities and small towns. This entry was posted in safety, Shelter, survival and tagged BOL, bug out locations, fire, Howard, Retreat. Bookmark the permalink. That’s a refreshing view! No one knows where “it” will happen so the present and BOL may both be compromised. I think it’s good to try and have a plan but not make it “the” plan. I may be naive, but I have not understood the idea of having a BOL hundreds of miles away from your primary residence. If you live in the heart of NYC, it might make since, otherwise why not stick a little closer to home. The advantages of staying somewhat local seem to out weight the long distance BOL on many levels. If things go south, eventually secondary economy will take place and it would seem wiser to be amongst friends and neighbors in an area you are familiar and comfortable residing in. I know that my perfect BOL could be reached with a days hike, or afternoon bike ride. I would much rather arrive quickly than second. I bugged out of my country home to the suburbs 900 miles away in a personal disaster, and have lived here ever since. i still needed my food preps, medical training, and evasive driving. map reading, and several other skills. I am excited to see people planning to shelter in place where their supplies can be stored for later use, we need not take on new mortgages for 2nd property. Thanks for a great article. Looking forward to your follow-up!